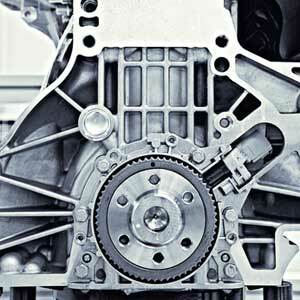 Engine and transmission problems can be notoriously difficult to diagnose. Luckily, the expert auto mechanics at the Parma Heights Rad Air Complete Car Care & Tire Center can handle virtually any issues that you may be having with your car’s engine and transmission. Knowing that engine issues can be complex, you can assist car care specialists in making sure that they understand the problem by offering them a thorough history when you bring your car in for service. What are some things that you need to be able to describe? What have you heard? When you drive your car around the Cleveland area, what noises have you heard your car make? Letting the auto technicians at the Parma Heights Rad Air Complete Car Care & Tire Center know about any grinding, backfiring and churning noises can help them to quickly evaluate your car and offer you an accurate diagnosis. Have you seen any lights? Since most of today’s cars are run on cutting edge computer technology, the car itself may alert you to issues with internal systems. Lights on your dashboard are an important part of the diagnostic process. Make sure to let your auto care professional know about any that have lit up. How long has the problem been going on? Knowing how long you have been having issues will also let mechanics know a lot about what is going on with your car. A nagging problem that still allows you to drive your car is different than a catastrophic failure that leaves you stranded on the side of the road. Did it start gradually? If you’ve noticed problems that have been happening for a while, that information can be helpful for mechanics. A noise that started a few weeks ago may be linked to the reason that your car won’t start now. How old is your car? There does come a time when it no longer makes financial sense to repair a car. That decision is based on the expense of the repair and the current value of the car. Your Parma Heights Rad Air Complete Car Care & Tire Center staff can assist you in gathering the information you’ll need to make that decision. Keeping good track of the issues that your car is having can make all the difference when you get it repaired. Make sure to listen for noises and pay attention to the way that your car is driving. These practices can help you to get your car in for service before there is a significant problem. Call Rad Air Complete Car Care & Tire Center for service today!